For first-rate storage from a provider you can count on, look no further than Self Storage Plus. We’ve designed our top-of-the-line self storage facility in Manassas, VA, to make your storage experience easy and enjoyable. You’ll have access to our property 7 days a week, whenever your busy schedule allows. 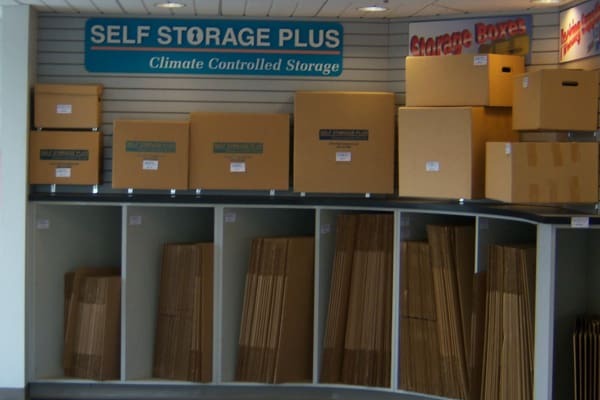 We offer all ground-level storage units in a range of sizes, with both climate-controlled and drive-up options available. No matter which unit you choose, you will benefit from wide drive aisles and have onsite access to carts and dollies, and we also provide a free one-time use of our move-in truck, to make move in day easier than ever. Our facility is fully fenced and well-lit, with access from 6AM - 10PM daily, 365 days a year. And you can rest easy, knowing that we monitor our grounds with 24-hour video surveillance and keypad entry, and have resident managers onsite who take pride in providing a clean and well-maintained storage property. At Self Storage Plus, we will simplify your storage experience. Contact us for more information about our facility and our many storage options.